Pure Bread PerfectionT. That’s what you get with each bite of our sprouted grain bread. 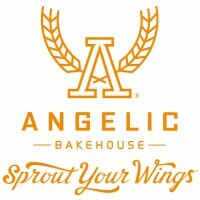 We take the purest non-GMO grains and craft them into something even better: Angelic’s sprouted mashT whole grains to give you superior nutrition, taste and texture in every Angelic Bakehouse loaf, Flatzza®, wrap, bun and baguette.